Richly photographed and authentically local, LA Mexicano showcases LAs famously rich and complex Mexican-food culture, including recipes; profiles of chefs, bakers, restaurateurs, and vendors; and neighborhood guides. Part cookbook, part food journalism, and part love song to LA, it's the definitive resource for home cooks, hungry Angelenos, and food-loving visitors. 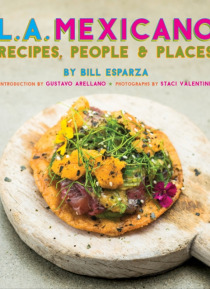 With a foreword by Taco USA's … Gustavo Arellano.